Salaams, just a few pieces I picked up the other day when I went shopping with my mum. 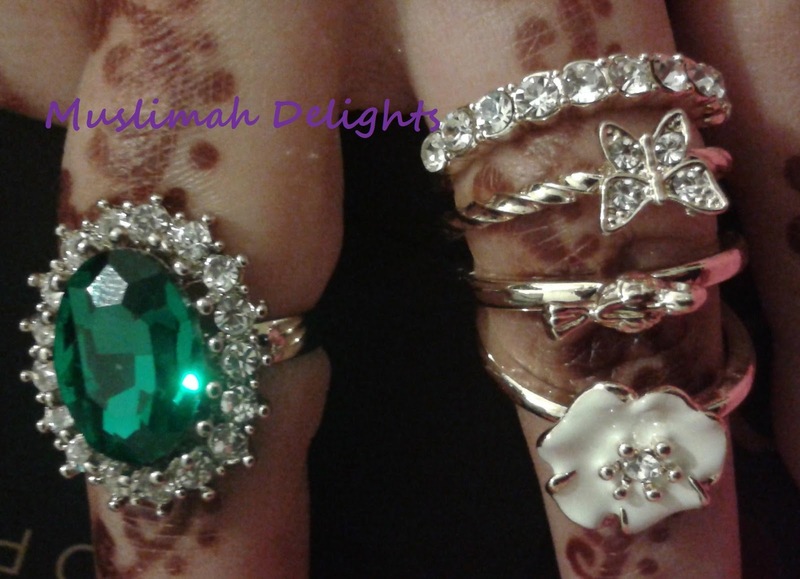 I love emerald green, so this ring was perfect. My mum chose the bracelet! Let me know what you think! An emerald ring (in the same style of the sapphire K-Middy one also purchased from Primark which I have posted before), a set of 4 rings consisting of a diamante band, Diamante butterfly, bird, white & silver flower. Rings as above, plus white/silver floral clasp bracelet. 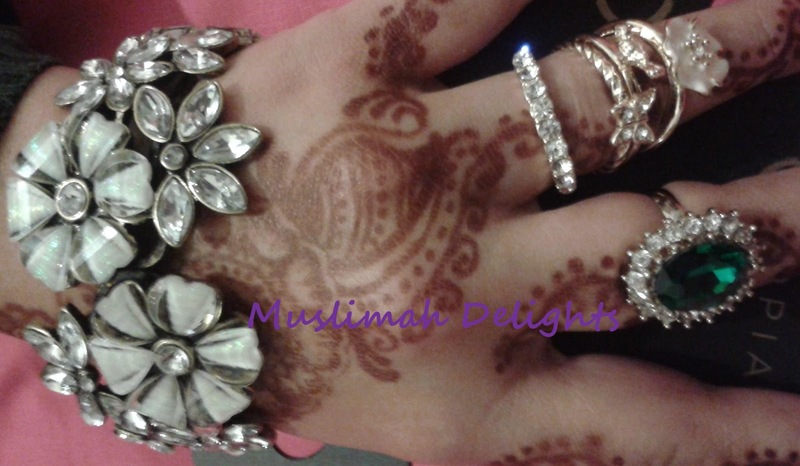 I will post a proper pic of the henna another time along with a few tips insha Allah.